Embark on a journey of architectural exploration as this cruise introduces us to a myriad of design styles and rare private viewings, often by a member of the family, including fine houses, baronial mansions, private apartments and an Arts & Crafts masterpiece. Our thanks to guest Mr Robin Bell for kindly supplying many of the images used on this weeks blog. 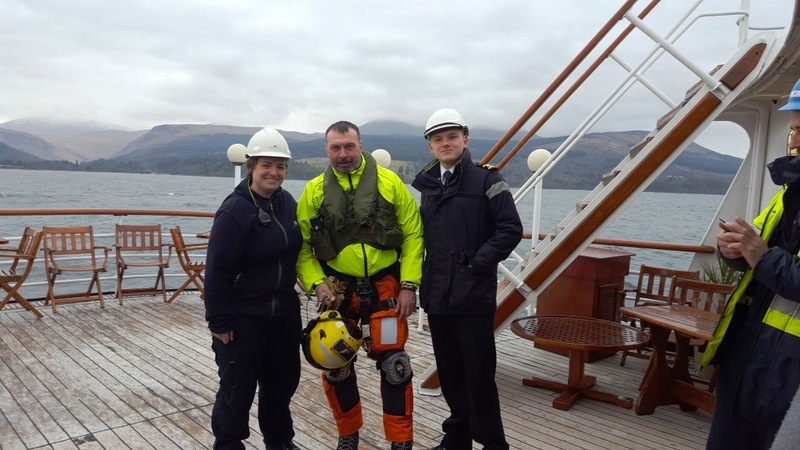 Our guests embarked this afternoon at the Ocean Cruise Terminal, Greenock and, once the mandatory safety drill had take place, we set sail for our overnight anchorage off Greenock. During breakfast we cruised into Rhu Marina for our morning tour of Hill House, the beautifully restored Arts & Crafts masterpiece designed by Charles Rennie Mackintosh. After lunch on board guests enjoyed a visit to Finlaystone House from Greenock. Set in 500 acres of ancient woodland and mature gardens, Finlaystone House has been the home to five families throughout its 800 year history. When all guests were back on board we set sail for our overnight anchorage in Rothesay Bay, Bute. An early morning sail brought us to Troon where guests disembarked for a full day tour of Dumfries House and gardens with lunch, to explore the 2,000 acre setting, the 18th century neo-classical architecture and Thomas Chippendale furniture. Sailing to the Isle of Arran over breakfast, guests went ashore to explore the gardens at Brodick Castle where the Hebridean hamper provided welcome refreshments. Whilst guests were visiting Brodick Castle Gardens, just before lunch the ship welcomed a visitor. 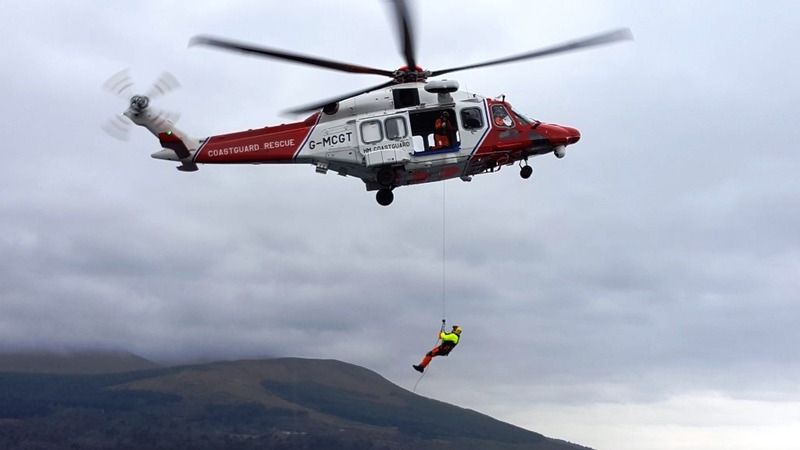 The local coastguard has asked to use the ship for a training exercise and landed a winchman on the Skye deck. He was treated to a cup of coffee, posed for a few photographs and was picked up again! The afternoon was spent cruising Britain's longest sea loch, Loch Fyne towards our overnight anchorage in Kilfinnan Bay, Loch Fyne. We departed our overnight anchorage for Strachur at the head of Loch Fyne where we remained at anchor all day. Guests were tendered ashore for a morning tour of Ardkinglas House, generally considered to be architect Sir Rober Lorimer's finest work. After lunch on board our afternoon was spent enjoying a guided visit of Strachur House, home to Sir Charles and Lady MacLean, with its sheltered flower garden. We anchored overnight in Loch Shira. This morning guests were treated to a tour of the private apartments of the fairytale Inveraray Castle, ancestral home of the Duke of Argyll, Chief of the Clan Campbell. After enjoying a scenic cruise of the Kyles of Bute and Loch Striven, we spent the night at anchor in Rothesay Bay, Bute. Stepping ashore on the Isle of Bute, this morning was spent wondering at the astounding Victorian mansion, Mount Stuart House, believed to be the first home in the world to have a heated indoor swimmming pool. The final visit of this cruise was the sumptuous Ardgowan House which has been held by the Stewart family since the early 15th century. Our guided tour was conducted by Sir Ludovic Shaw Stewart. We hope that all our guests have enjoyed their voyage discovering many of the architectural gems of Argyll and Bute and we wish them a safe journey home.